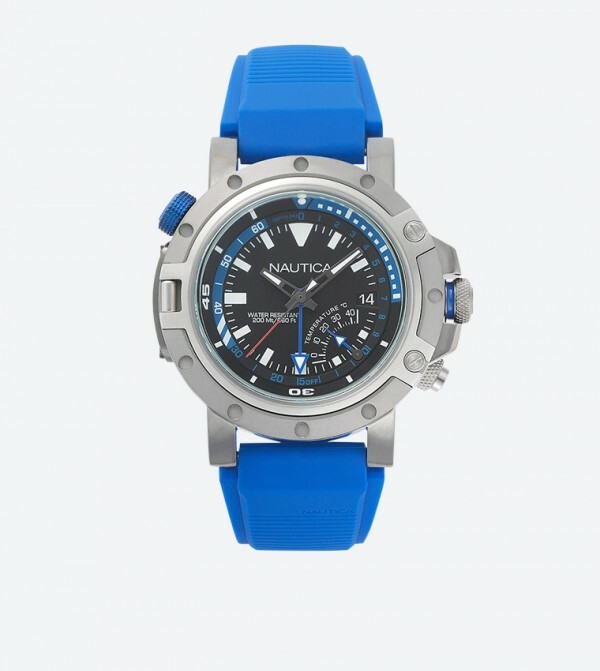 Elevate your otherwise simple look by slipping on this black colored NAPPRH001 analog watch for men from Nautica. Featuring quartz movement, blue strap color and grey case color. It's 200 meters water resistance feature minimises water damage. while the silicone strap material makes it comfortable to wear.